Hofmann offers a large variety of services to help you get the outdoor space that you want. We cater to both commercial and residential clients with both very small and very large properties. This is a list of many of the things we can help you with and a brief description of each. We handle all of the typical lawn needs such as mowing and weed eating along with trimming and weed maintenance. This can be set up to operate on a set schedule to keep your yard looking great through the spring, summer and fall. We can also be scheduled to mow for just once or twice while you are out of town or become too busy to do it yourself. Our experienced team pays attention to the details to leave your property looking its best. Let Hofmann take care of your lawn like it was our own. There is a lot that can fall into the category of landscaping and Hofmann can help with all of it. We will work with you to figure out what you want your plot of land to look like and come up with a design to fit that vision. Our friendly and professional team will then get to work tearing out all of the old and bringing in the newly designed space you’ve always envisioned. You won’t have to hire another contractor just to build a retaining wall or lay a walkway either. We can handle almost any landscaping design from start to finish making your property not only look, but also function the way that you want. The changing weather can make your property look great. It causes trees to bloom in the spring and change colors in the fall making a beautiful scene while you spend time outdoors. These same weather patterns also bring the need for maintenance along with its charm. Hofmann is prepared to help you, or your company, with both the spring and fall cleanup. Spring can bring storms which can damage and clog water pathways, leaving you with flooding and other problems. There are also fallen limbs and maybe even some plant life that didn’t survive the winter. We can get your yard back in working order fast leaving you to enjoy the natural beauty that comes with spring. Fall means that the leaves turn, fall off, and get everywhere. Let us clean them up and bag them for you getting your property ready for the coming winter. The spring and fall months bring other maintenance needs that we can help with besides cleanup. Aerating and seeding your property can help you have a healthy, beautiful lawn. The process can be time consuming and tricky for a home or business owner. 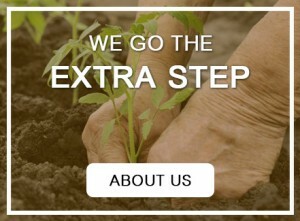 Our trained team will go over your options to help you get full green grass without a lot of your time invested. We would love to hear from you today. Let us help you figure out which services can help create the outdoor space you have always wanted. We offer free estimates and our friendly staff can help schedule an appointment today.